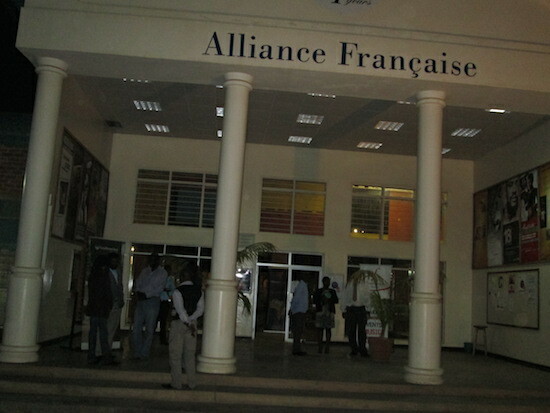 Hundreds of citizens who turned up at Alliance Francaise to participate in the failed MISA Zambia organized public discussion have condemned the PF government interference in citizen’s liberties. MMD secretary general Muhabi Lungu described the action as insanity and wondered why Zambians were still keeping a non functional PF government which has proven allergic to criticism. Lungu said he was shocked by the levels of dictatorship the country has experienced under PF and President Michael Sata. UPND Vice President Canisius Banda said the decision by PF to block divergent views had the capacity to turn the country on fire. Dr. Banda stated that a democracy entailed tolerance of people with diverse views. Renowned Reggae musician Maiko Zulu said all Zambians had the constitutional right to demand to know the health status of the sitting President but regretted that PF have deprived citizens of the interaction that could have eased tension in the country. Zulu also criticised Alliance Francaise for being used to suppress human rights when the human riights declaration was stuck on the door of director. MISA Zambia was last evening expected to hold a public discussion on the constitution of a medical board for ailing dictator Michael Sata as per constitution at Alliance Francaise along Alick Nkhata road but state security agents forced the organization to cancel the event. The cancellation was only communicated to MISA Zambia an hour before the 18:30 hrs scheduled event in order to block the organization from looking for an alternative venue. As hundreds of citizens from divergent walks of life started trooping in as early as 17:00hrs, they were greeted by a cancellation notice stuck on the entrance. The irate patrons remained wandering outside as MISA staff labored to apologise for the inconvenience. The restaurant and bar which closes at 22:00hrs was also prematurely closed to avoid people from converging there to discuss the subject. Plain clothed state security officers kept checking but some of them condemned the action. They also disclosed that PF government officials were annoyed by MISA Zambia decision and had been assigned to trail the convenors.